Two men with strong ties to Fujian have risen astonishingly quickly since Xi Jinping came to power. Wang Xiaohong, newly appointed vice mayor of Beijing, and Deng Weiping, new secretary of the Party Disciplinary Commission of the Public Security Ministry, have at least one thing in common. They both worked in Fujian for a long time, and both of them worked for Xi Jinping. A native of Fujian, Wang spent almost four decades of his career in his home province. He started off as an “educated youth” in Minhou County in 1974 and rose through the ranks in the public security system. After Xi became party secretary of Fuzhou, Wang was transferred to Fuzhou as the chief of the Suburb Division of the Bureau of Public Security of the city. He was subsequently promoted to the posts of deputy chief and chief of Fuzhou’s Public Security Bureau. 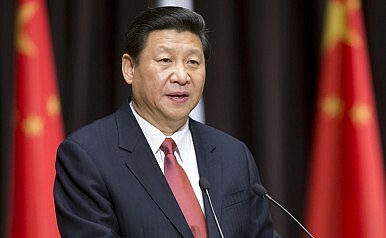 His career stalled after the departure of Xi Jinping from Fuzhou. He obtained the rank of deputy department head in 1998 but remained at that level for 15 years. He was police chief of Fuzhou, police chief of Zhangzhou, deputy head of the Public Security Department of Fujian, and vice mayor and police chief of Xiamen from 1998 to 2013. However, Wang’s political fortune has been on the rise since Xi became the most powerful man in China. Wang was transferred to Henan in August 2013 as its assistant governor and police chief. One year later, he was promoted to vice governor of Henan. In March 2015, he was transferred to Beijing as its police chief and vice mayor. In one and a half years, he has been promoted from an official of deputy department head level to one of vice-ministerial level. A native of Jiangsu, Deng Weiping’s story is slightly different. He began his work experience as a PLA soldier in Fujian in 1969 and then was demobilized to work in a factory in Minqing County six years later. He worked in the Organization Department of Fuzhou Municipal Party Committee for seven years before Xi was appointed party secretary of the capital city. Five months after Xi’s arrival, Deng was promoted to deputy secretary of the Gulou District and was further appointed party secretary of the Jin’an District shortly before Xi’s departure from Fuzhou. Deng continued his rise in the political hierarchy of Fujian until January 2014, when he was transferred to Guangxi. He spent 13 years in the state security system in Fujian, serving as the chief of the State Security Bureau of Fuzhou and deputy head of the State Security Department of Fujian. His last role in Fujian was deputy secretary of the Disciplinary Inspection Commission of Fujian. After a stint of 14 months as secretary of the Disciplinary Inspection Commission in Guangxi, Deng was transferred to Beijing as secretary of the Disciplinary Inspection Commission of the Ministry of Public Security in March 2015. Born in November 1955, Deng will turn 60 in seven months. He will have to retire then, unless he is promoted to the rank of full minister. Born in July 1957, Wang will have two years to go before his retirement as a vice mayor. He has a good chance to be promoted to the rank of full minister in the next couple of years. Both have never been admitted to the Central Committee of the CCP. It remains to be seen how far they could rise in Chinese politics.